Sierra Club Florida News: Thank you, Mr. Stearns! 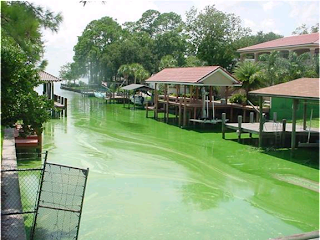 We all owe a big thanks to Congressional Representatives Debbie Wasserman Schultz, Kathy Castor, Frederica Wilson and Cliff Stearns for voting on Friday night against the awful Rooney rider to the Continuing Resolution which would strip funding from EPA's budget for enforcement of its new clean water rules for Florida's rivers, lakes and springs. These 4 heroes bucked the powerful alliance of big agriculture, big industry and municipal polluters that successfully pressured the other 21 members of the Florida congressional delegation (including Democrats Corrine Brown, Ted Deutch and Alcee Hastings) to vote for the rider. But it is Representative Cliff Stearns who we want to single out for special thanks this morning. As the sole Florida Republican voting against the amendment, he demonstrated significant courage, risking retaliation not only from the polluters' cabal and agricultural interests in his rural district in North Florida, but also from the Republican leadership of the House of Representatives which attached dozens of anti-environmental to the Continuing Resolution. "I am very concerned about preserving the Silver River in my hometown [Ocala] as well as the Ocklawaha and the St. Johns rivers in my district," he said by email. "Although I don't want to see the EPA develop these burdensome and expensive regulations, I do want the EPA and the State of Florida to work together in developing an economical solution to protecting our waters." Read the Florida Times-Union story on the House vote below. The U.S. House of Representatives passed a budget bill early Saturday that would stop the federal government from enforcing new clean-water rules affecting the St. Johns River and other Florida rivers and lakes. The restriction on the U.S. Environmental Protection Agency was a minor amendment written into a bill that would cut overall government spending by about $60 billion through the end of September. Its implications for Florida could be dramatic, however. Florida Attorney General Pam Bondi and Agriculture Commissioner Adam Putnam are currently suing EPA over the rules. The U.S. Senate has been expected to vote on its own version of a budget bill in the next two weeks. A stopgap spending agreement that's in effect now expires March 4. Environmental groups will try to convince senators to let EPA enforce its rules. "Right now, we've got to convince Bill Nelson," said St. Johns Riverkeeper Neil Armingeon, whose group was one of several that sued EPA to get it to adopt water standards written specifically for Florida. Nelson, a Florida Democrat, endorsed a nearly identical restriction on EPA last year, although that died in committee. The one-sentence amendment prohibiting EPA action, offered last week by U.S. Rep. Thomas Rooney, R-Fla., was added to the budget bill just before 10 p.m. Friday. The House passed the full bill, called a continuing resolution, just after 4:30 a.m. Saturday. The vote to prevent EPA action was heavily partisan, with support by 221 Republicans and 16 Democrats. Voting no were 17 Republicans and 172 Democrats. Twenty-one of Florida's 25 House members voted to prevent EPA action. Those included Democrat Corrine Brown and Republicans Ander Crenshaw and John Mica, who all represent parts of Northeast Florida. U.S. Rep. Cliff Stearns, whose district reaches into Clay County and Jacksonville's Westside, was the onlyFlorida Republican voting against limiting EPA action. Three Democrats also opposed the measure. Stearns said he hoped state and federal regulators would jointly develop new protections for waterways. EPA finalized rules in November that would set measurable limits on the amount of nitrogen- and phosphorous-bearing chemical compounds allowed in waterways. They were scheduled to become effective in 2012 as a step to control algae blooms that feed on those chemicals.